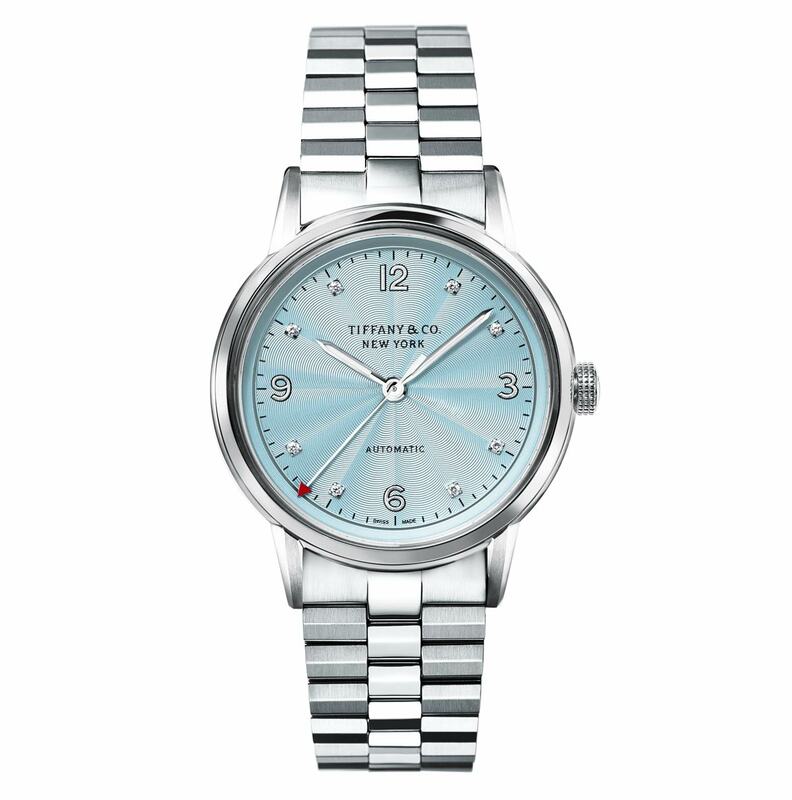 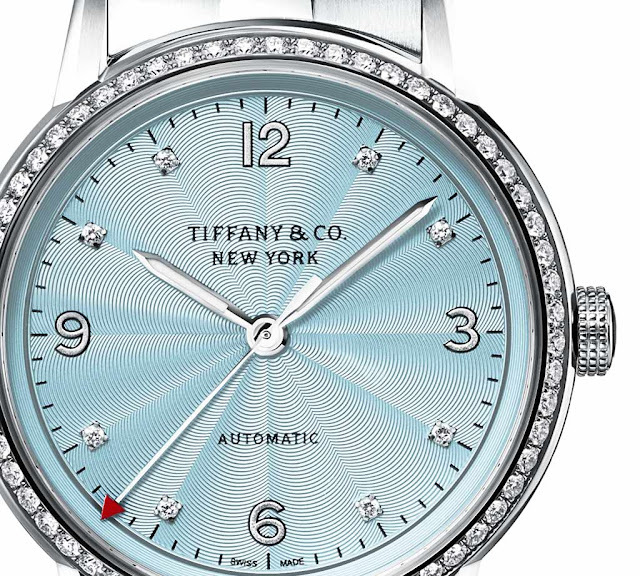 Tiffany & Co. presented a new version of its CT60 3-hand model for Ladies reimagining it with a new ice-blue coloured and flinqué finished dial, enriched by 3, 6, 9, 12 silver poudré numerals and 8 round-cut diamond indexes. The eye-catching dial is protected by a sapphire crystal glass and framed by a stainless steel case available with or without the adornment of 60 dazzling round-cut diamonds on the bezel. 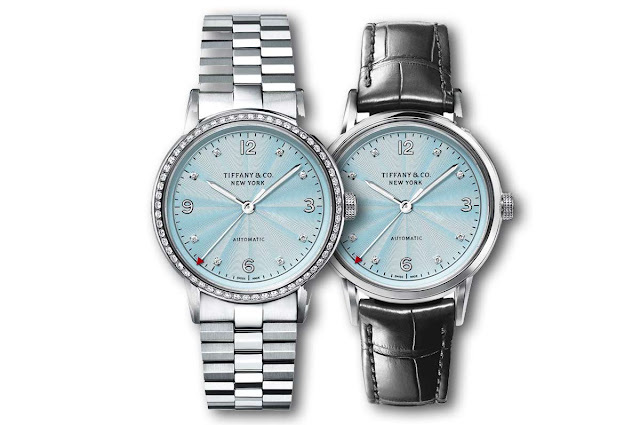 Offering water resistance to 100 metres / 330 feet, the 34 mm rounded case of the CT60 houses a Swiss self-winding movement hand-finished using the traditional Côtes de Genève, Colimaçon and Perlage techniques and visible through the sapphire crystal case back. 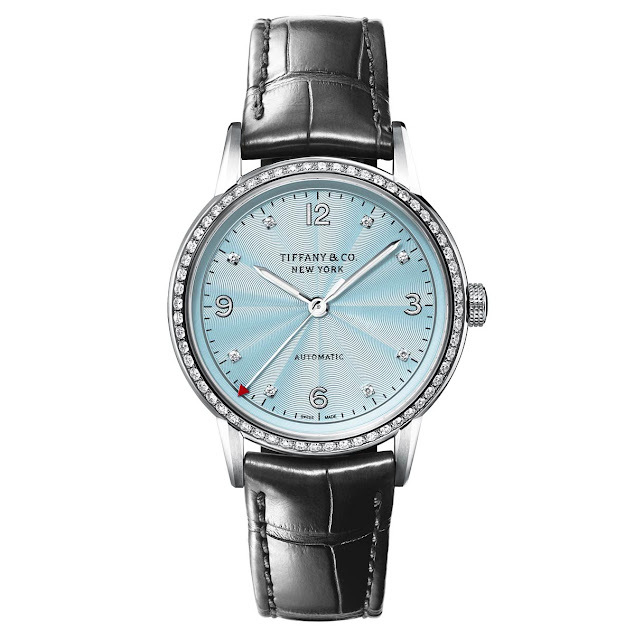 Beating at 28,800 vibrations per hour and equipped with an advanced shock absorption system, the movement guarantees a power reserve of 42 hours. The timepiece is available with a gray alligator strap or a stainless steel bracelet.